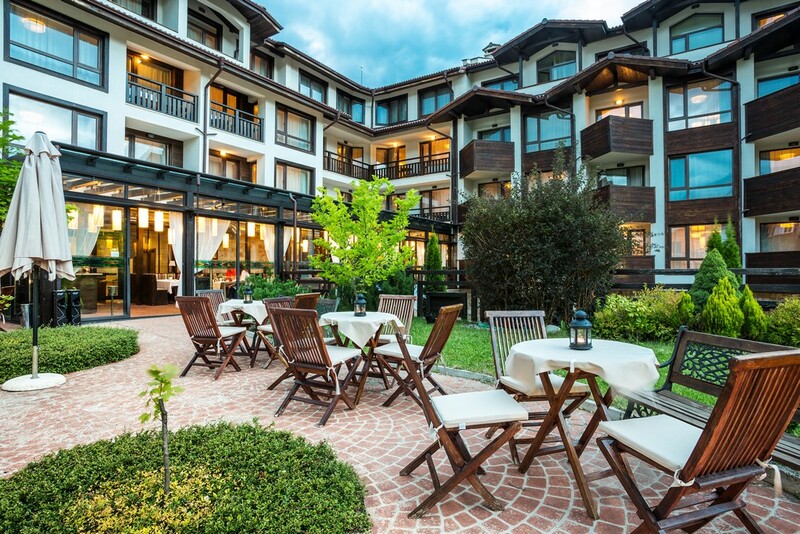 Located in the quiet part of the town, within short walk distance to the centre, Perun Lodge is a cozy mountain hotel in Bansko, popular with its comfort and good services. It is only 165km from Sofia airport and 350m from the main gondola lift station. The complex is designed in a traditional alpin architectural style with contemporary and modern interior. Elegance, luxury and cosiness are the most accurate definition of the Slavic mythological God Perun’s “lodge”. Check – in: 2:00 p.m. Check – out: 12:00 p.m.
Late check – out is available upon request. A good night’s sleep is essential for the great day ahead, weather a business trip or a holiday. Perun Lodge hotel has 150 units spread over 4 floors. All rooms are well – equipped to guarantee your rest. 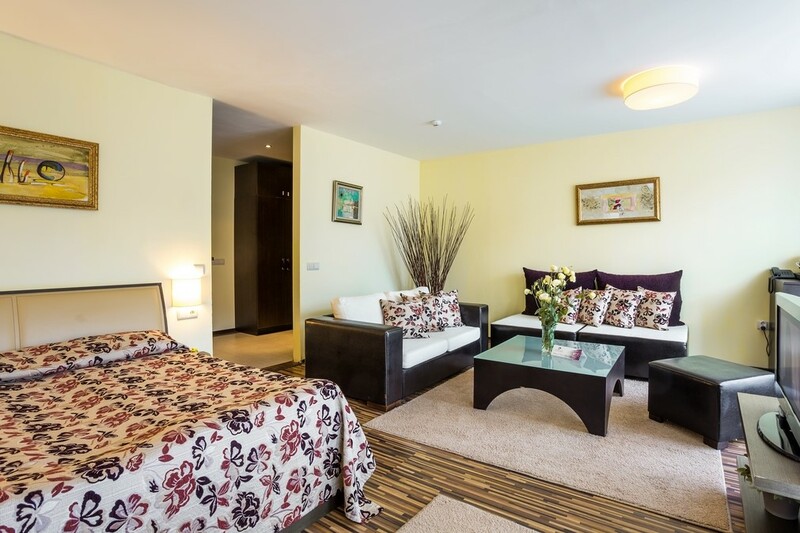 The hotel offers Studios, One – bedroom apartments and Junior Suites. Rooms are bright and comfortable. All rooms are equipped with cable TV, LCD television, telephone, safe, shower cabin/ bathtub and everything you need for your comfortable stay. The main restaurant is situated on the ground floor of the hotel, it has classic interior with warm colors. The restaurant capacity is 100 seats. It is connected with the Winter garden, with capacity of 60 seats. The menu is inspired by European cuisine and many specialties by traditional Bulgarian cuisine. A good day starts with a breakfast Perun Lodge. It is served from 8 a.m until 10 a.m. It offers a wide variety of international and local breakfast specialties, buffet style. In the evening you are welcome to enjoy delicious dishes. The dinner is on buffet and it is served from 6 p.m until 9 p.m.
Our lobby bar is a great meeting place for the hotel guests and other visitors. 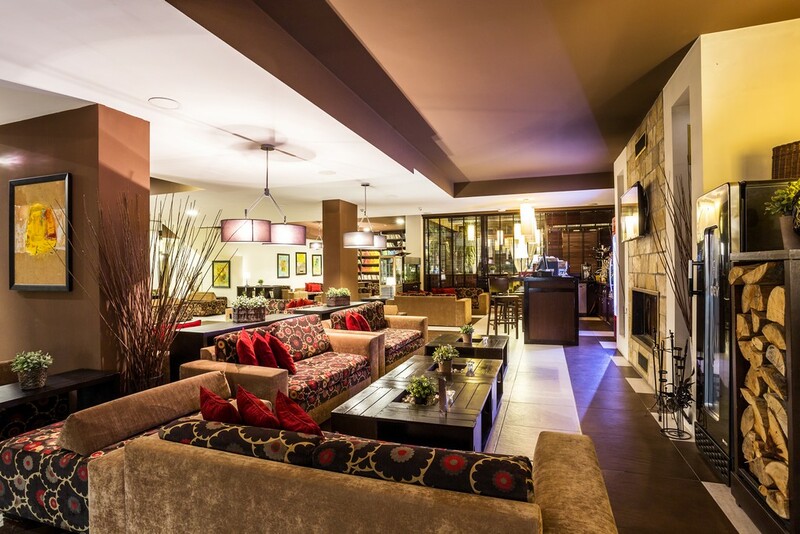 Equipped with comfy chairs and sofas, it has a nice atmosphere for a coffee and cocktails around the fireplace. It is not only a place where you can get a drink, there is a bar with great ambience, with modern and exclusive cocktails. Here, on the lobby bar you can choose from our carefully selected cocktails. During summer our outdoor garden opens up for guests to enjoy. It is the perfect place to grab a coffee, get some work done, meet people or just relax. Forget the stress of everyday life! 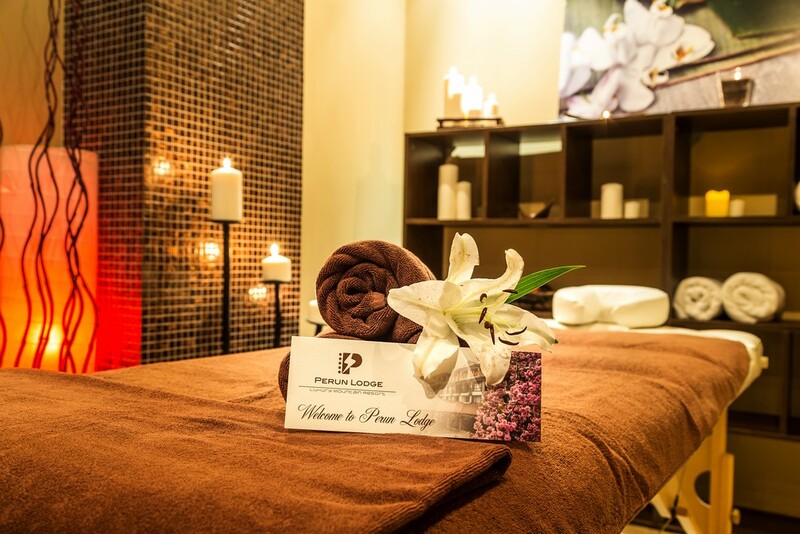 As a guest at Perun Lodge hotel, you are always welcome to our Relax center to chill. We have everything you need to rest, reload and recharge. The Relax center is equipped with indoor pool, sauna, steam bath, Jacuzzi, massages cabins, relax zone, well – equipped gym and an exercise room. In the center we offer different types of therapies and massages. The Relax center is spacious, spread on 670 sq.m. Hotel Perun Lodge boasts with its beautifully designed Fitness center with gym, offering a wide range of training options. The gym is not big, but offers variety of cardio and strength exercise machines – treadmills, free – weights, cross – trainers and others. Access is free for the hotel guests – you can keep up with your workout routine during your stay. The center is open from 9 a.m till 8 p.m, 7 days a week. There is a space for yoga and exercises. 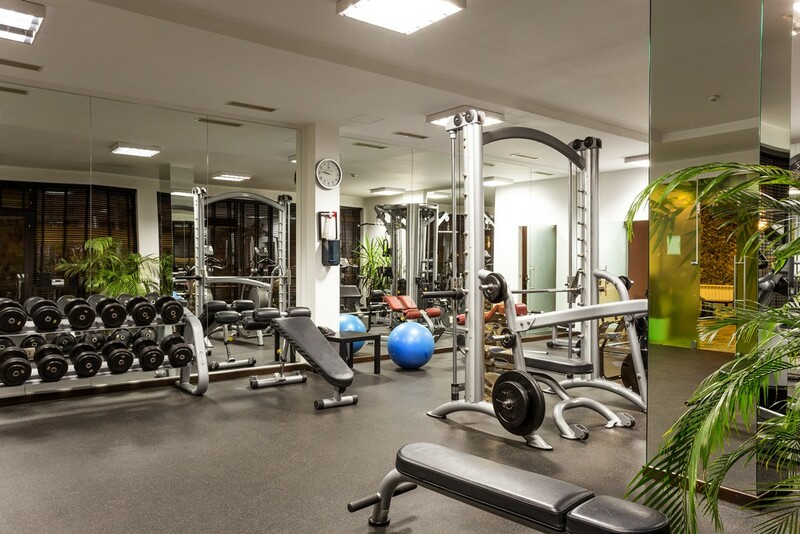 The gym is perfect for your spare time after workday or a refreshing break for the hotel guests. Read it! Love it! Return it! 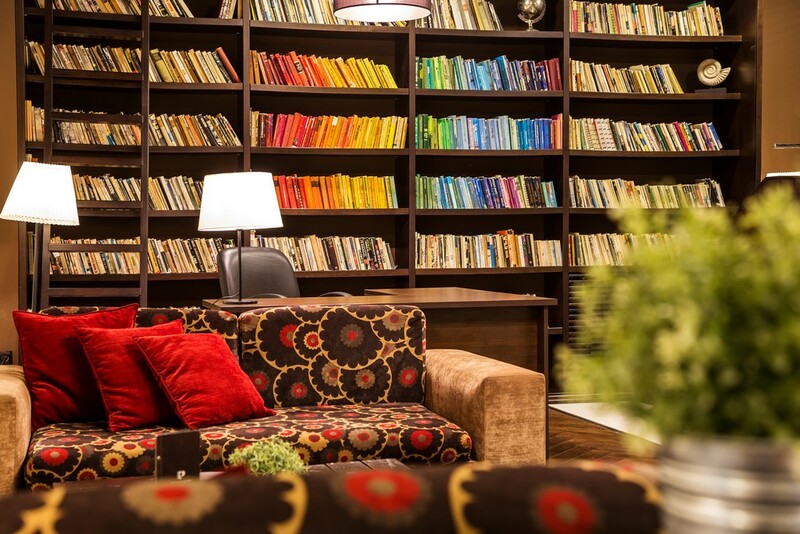 Perun Lodge has a large collection of books in its library, situated in the hotel’s lobby. The library in the common area has over 300 books in Bulgarian and a small collection in other languages. The library offers books for all ages and preferences. To make your stay more pleasant they are available for you, free of charge, after you list it in as borrowed in the register book. Please return all borrowed books in the library before leaving the hotel, so other guests can read them too. 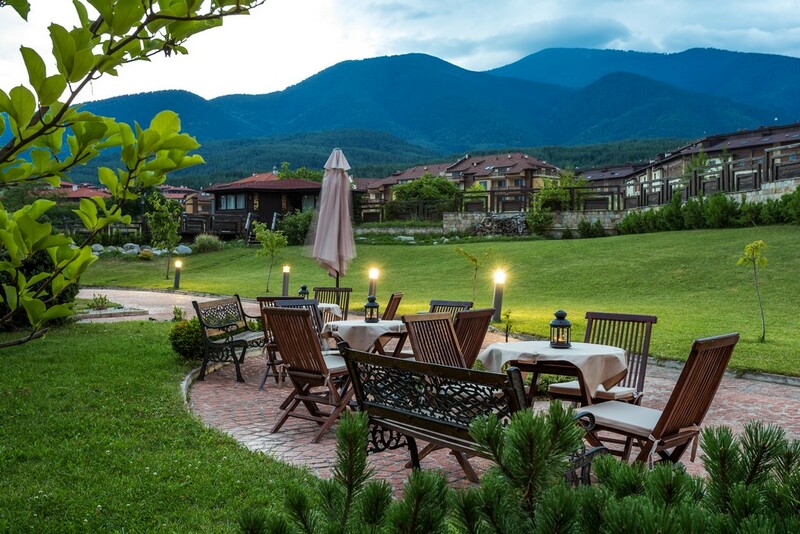 Perun Lodge’s garden welcomes you with its specially selected trees and magnolias, and with a wonderful outdoor Jacuzzi with sunbeds; here, under the heavy shades of big umbrellas you can read a book right in front of the great view of Pirin mountain and peak – Todorka. 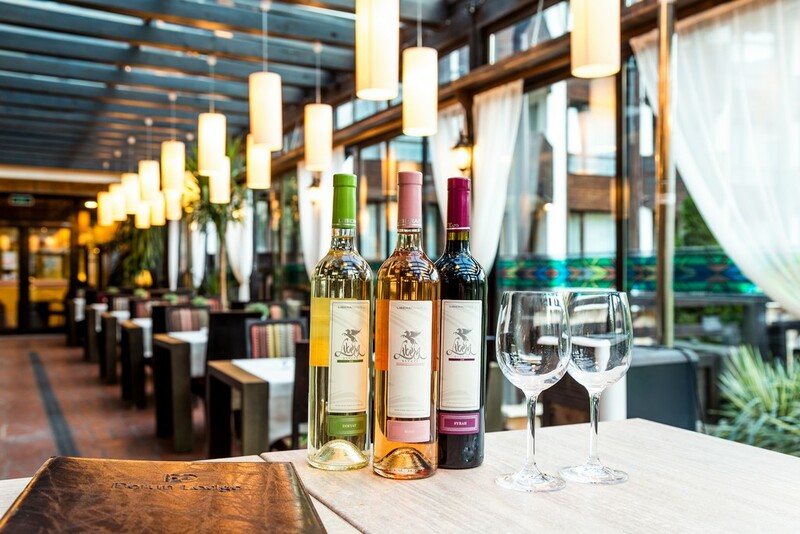 In the evenings you can enjoy a glass of wine in the company of your loved ones. Ski rental – in order to ensure you a great winter holiday, we offer well-equipped in-house ski rental, which is open daily (in winter season). Ski shuttle – our free shuttle bus will take you to the main gondola lift station, on schedule (in winter season). Kids room – the perfect space to play. The Kids room provides comfort, laughter and fun. 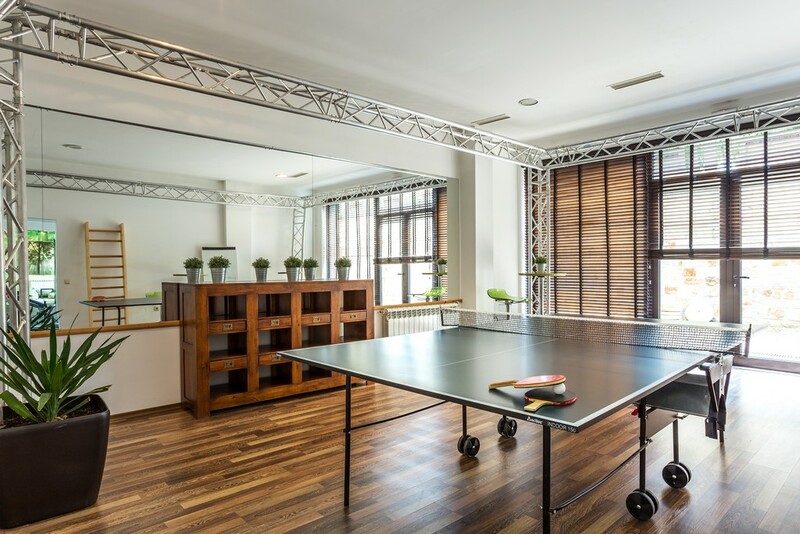 Table tennis – another good opportunity to spend Your free time. Bike rental – to discover Bansko and Pirin mountain, in summer season, we offer a bike rental.